AQR Long-Short Equity Fund will seek capital appreciation through a global long/short portfolio, focusing on the developed world. “The Fund seeks to provide investors with three different sources of return: 1) the potential gains from its long-short equity positions, 2) overall exposure to equity markets, and 3) the tactical variation of its net exposure to equity markets.” They’re targeting a beta of 0.5. The fund will be managed by Jacques A. Friedman, Lars Nielsen and Andrea Frazzini (Ph.D! ), who all co-manage other AQR funds. Expenses are not yet set. The minimum initial investment for “N” Class shares is $1,000,000 but several AQR funds have been available through fund supermarkets for a $2500 investment. AQR deserves thoughtful attention, but their record across all of their funds is more mixed than you might realize. Risk Parity has been a fine fund while others range from pretty average to surprisingly weak. AQR Managed Futures Strategy HV Fund will pursue positive absolute returns. They intend to execute a momentum-driven, long/short strategy that allows them to invest in “developed and emerging market equity index futures, swaps on equity index futures and equity swaps, global developed and emerging market currency forwards, commodity futures, swaps on commodity futures, global developed fixed income futures, bond futures and swaps on bond futures.” They thoughtfully note that the “HV” in the fund name stands for “higher volatility.” The fund will be managed by John M. Liew (Ph.D! ), Brian K. Hurst and Yao Hua Ooi (what a cool name), who all co-manage other AQR funds. Expenses are not yet set. The minimum initial investment for “N” Class shares is $1,000,000 but several AQR funds have been available through fund supermarkets for a $2500 investment. Barrow SQV Hedged All Cap Fund will seek to generate above-average returns through capital appreciation, while reducing volatility and preserving capital during market downturns. The plan is to use their Systematic Quality Value discipline to identify 150-250 long and the same number of short positions. The fund will be managed by Nicholas Chermayeff and Robert F. Greenhill, who have been managing separate accounts using this strategy since 2009. The prospectus provides no evidence of their success with the strategy. Neither expenses nor the minimum initial investment are yet set. Barrow SQV Long All Cap Fund will seek long-term capital appreciation. The plan is to use their Systematic Quality Value discipline to identify 150-250 spiffy stocks. The fund will be managed by Nicholas Chermayeff and Robert F. Greenhill, who have been managing separate accounts using this strategy since 2009. The prospectus provides no evidence of their success with the strategy. Neither expenses nor the minimum initial investment are yet set. Calamos Long /Short Fund will pursue long term capital appreciation. Here’s the secret plan: the fund will take “long positions in companies that are expected to outperform the equity markets, while taking short positions in companies that are expected to underperform the equity markets.” They’ll focus on US what they describe as mid- to large-cap US stocks, though their definition of midcap encompasses most of the small cap space. And they might put up to 40% in international issues. The fund will be managed by John P. Calamos, Sr., Gary D. Black and Brendan Maher. While one can’t say for sure that this is Mr. Black’s fund, he did file for – but not launch – just such a fund in the period between being excused from Janus and being hired by Calamos. Expenses ranged from 2.90 – 3.65%, depending on share class. The minimum initial investment is $2500. Gratry International Growth Fund will seek long-term capital appreciation by investing in an international, large cap stock portfolio. Nothing special about their discipline is apparent except that they seem intent on building the portfolio around ADRs and ETFs. The fund will be managed by a team headed by Jerome Gratry. Expenses are not yet set. The minimum initial investment is $2500. M.D. Sass Equity Income Plus Fund seeks to generate income as well as capital appreciation, while emphasizing downside protection. The plan is to buy 25-50 large cap, dividend-paying stocks and and then sell covered calls to generate income. The managers have the option of buying puts for downside protection and they claim an “absolute return” focus. Martin D. Sass, CIO and CEO of M.D. Sass, will manage the fund. The expense ratio for the Retail class is 1.25% and the minimum initial investment is $2500. RiverPark Structural Alpha Fund will seek long-term capital appreciation while exposing investors to less risk than broad stock market indices. Because they believe that “options on market indices are generally overpriced,” their strategy will center on “selling index equity options [which] will structurally generate superior returns . . . [with] less volatility, more stable returns, and reduce[d] downside risk. This portfolio was a hedge fund run by Wavecrest Asset Management. 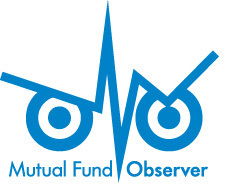 That fund launched in September, 2008 and will continue to operate under it transforms into the mutual fund, on June 30, 2013. The fund made a profit in 2008 and returned an average of 10.7% annually through the end of 2012. Over that same period, the S&P500 returned 6.2% with substantially greater volatility. The Wavecrest management team, Justin Frankel and Jeremy Berman, have now joined RiverPark and will continue to manage the fund. The opening expense ratio with be 2.0% after waivers and the minimum initial investment is $1000. Schroder Emerging Markets Multi-Cap Equity Fund seeks long-term capital growth by investing primarily in equity securities of companies in emerging market countries. They’re looking for companies which are high quality, cheap, or both. The fund will be managed by a team headed by Justin Abercrombie, Head of Quantitative Equity Products. Expenses are not yet set. The minimum initial investment for Advisor Class shares is $2500. Schroder Emerging Markets Multi-Sector Bond Fund seeks to provide “a return of capital growth and income.” After a half dozen readings that phrase still doesn’t make any sense: “a return of capital growth”?? They have the freedom to invent in a daunting array of securities: corporate and government bonds, asset- or mortgage-backed securities, zero-coupon securities, convertible securities, inflation-indexed bonds, structured notes, event-linked bonds, and loan participations, delayed funding loans and revolving credit facilities, and short-term investments. The fund will be managed by Jim Barrineau, Fernando Grisales, Alexander Moseley and Christopher Tackney. Expenses are not yet set. The minimum initial investment for Advisor Class shares is $2500. Segall Bryant & Hamill All Cap Fund will seek long-term capital appreciation by investing in a small-cap stock portfolio. Nothing special about their discipline is apparent. The fund will be managed by Mark T. Dickherber. Expenses are not yet set. The minimum initial investment is $2500. Segall Bryant & Hamill Small Cap Value Fund will seek long-term capital appreciation by investing in an all-cap stock portfolio. Nothing special about their discipline is apparent. The fund will be managed by Mark T. Dickherber. Expenses are not yet set. The minimum initial investment is $2500. SilverPepper Commodities-Based Global Macro Fund will seek “returns that are largely uncorrelated with the returns of the general stock, bond, currency and commodities markets.” The plan is to maintain a global, long-short, all-asset portfolio constructed around the sub-advisers determination of likely commodity prices. The fund will be managed by Renee Haugerud, Chief Investment Officer at Galtere Ltd, which specializes in managing commodities-based investment strategies, and Geoff Fila, an Associate Portfolio Manager. The expenses are not yet set (though they do stipulate a bunch of niggling little fees) and the minimum investment for the Advisor share class is $5,000. SilverPepper Merger Arbitrage Fund wants to “create returns that are largely uncorrelated with the returns of the general stock market” through a fairly conventional merger arbitrage strategy. The fund will be managed by Jeff O’Brien, Managing Member of Glenfinnen Capital, LLC, and Daniel Lancz, its Director of Research. Glenfinnen specializes in merger-arbitrage investing and their merger arbitrage hedge fund, managed by the same folks, seems to have been ridiculously successful. The expenses are not yet set and the minimum investment for the Advisor share class is $5,000. TCW Emerging Markets Multi-Asset Opportunities Fund will pursue current income and long-term capital appreciation. The plan is to invest in emerging markets stocks and bonds, including up to 15% illiquid securities and possible defaulted securities. The fund will be managed by Penelope D. Foley and David I. Robbins, Group Managing Directors of TCW. Expenses are not yet set. The minimum initial investment is $2000, reduced to $500 for IRAs. Toews Unconstrained Fixed Income Fund will look for long-term growth of capital and, if possible, limiting risk during unfavorable market conditions. It’s another “trust me” fund: they’ll be exposed to somewhere between -100% and 125% of the global fixed-income and alternative fixed-income market. As a kicker, it will be non-diversified. The fund will be managed by Phillip Toews and Randall Schroeder. There’s no record available to me that suggests these folks have successfully executed this strategy, even in their private accounts. There only other public fixed-income offering (hedged high yield) is undistinguished. Expenses are not yet set. The minimum initial investment is $10,000, though the prospectus places [10,000] in square brackets as if they’re not quite sure of the matter yet. “Unconstrained” is an increasingly popular designation. This is the 13th (lucky them!) unconstrained income fund to launch. Visium Catalyst Event Driven Fund will pursue capital growth while maintaining a low correlation to the U.S. equity markets. The plan is to pursue a sort of arbitrage strategy involved both long and short positions, in both equities and debt, both foreign and domestic, of companies that they believe will be impacted by pending or anticipated corporate events. “Corporate events” are things like mergers, acquisitions, spin-offs, bankruptcy restructurings, stock buybacks, industry consolidations, large capital expenditure programs, significant management changes, and self-liquidations (great, corporate suicides). The mutual fund is another converted hedge fund. The hedge fund, with the same managers, has been around since January 2001. Its annual return since inception is 3.48% while the S&P returned 2.6%. That’s a substantial advantage for a low correlation/low volatility strategy. The fund will be managed by Francis X. Gallagher and Peter A. Drippé. Expenses, after waivers, will be 2.04%. The minimum initial investment is $2500. This entry was posted in Funds in Registration on May 1, 2013 by David Snowball.